SantKabir Nagar is one of the historically rich cities of Uttar Pradesh. The city is named on well-known Sant (poet) and Philosopher, Sant Kabir who lived at Maghar in the District. The city boasts many institutions English Medium Schools, Arts, Commerce, Science Study centers, Colleges etc. that provide quality education to the students. Education plays a significant role in everyone’s life whether you are a student or a businessman. Now a day’s Technical Skilled Manpower are in high demand. For this purpose, Government of India had opened several Industrial Training Institutes (ITI’s) that provides both technical and non-technical courses to the students to fulfill the demand of various industries. The city has 2 Govt. ITI’s and 11 Private ITI’s Colleges. Some trades that students can choose from include Electrician, Wireman, and Tool & Die Maker etc. depending on their choice. Matriculation is an essential basic qualification to enroll in these courses. Age requirement is up to 14 years. Duration of various courses include 6 moths, 1 year and 2 years. The session starts from 1st of August. 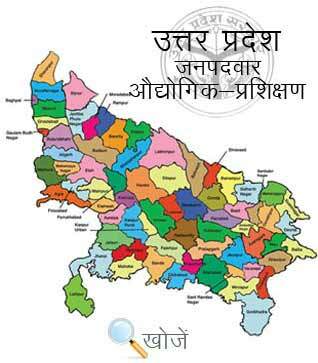 In the state of Uttar Pradesh, Vyavsayik Pareeksha Parishad (www.vppup.in) is responsible for conducting the entrance examination for admission to various trades in different ITI’s. Aspirants can also visit www.upiti.in as well to check out their results, counseling dates, exam dates, about admit cards etc.